This 2-bedroom flat for rent is located in North Inner City on the banks of the River Liffey. 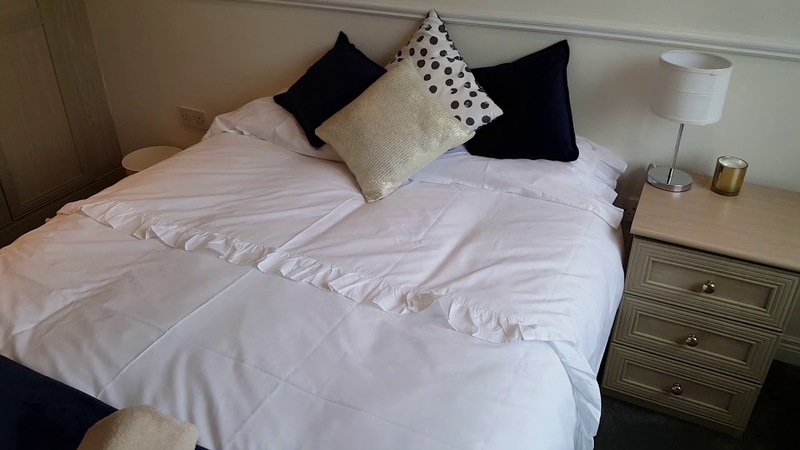 The flat has both wood and carpet flooring and both bedrooms come with a double bed. There is a lovely living room that has 2 couches and an elegant dining table. The living room also opens up onto a balcony with patio furniture. The kitchen has plenty of cabinet space and modern appliances. On Custome House Quay, you are very well-connected with tram and bus stops right in front of your building. You also have views of the River Liffey, which is a lovely sight. Just a few minutes' walk away, you can also find restaurants, grocery stores, banks, and more. We love the light wood flooring. The flat has simple but stylish decor. The balcony is a great place to sit and relax. You have plenty of amenities nearby. There is a tram stop just 1 minute away. You are also a 7-minute walk to the Connolly Railway Station.